Visual content like videos can be far more compelling to an online audience than words on a page. In fact, Internet users are consuming videos faster than ever before, and many search experts believe that video content will be just as important as (if not more important than) written content in the near future. It essentially means this: If you don’t have interesting, optimized videos for your firm, you ARE missing out on an opportunity to develop strong connections with your audience – and you WILL be losing out to competitors that do have good videos. At Epic Web Results, our Internet marketing and video production pros are skilled developing engaging videos for law firms and optimizing these videos so they drive traffic and leads to our clients’ websites. Our full-service video development and optimization services include everything from research and planning to filming, editing, optimizing and distributing videos. Check out some examples of our work. Since 2000, the attention span for the average Internet user has dropped by about 4 seconds, falling from ~12 seconds (in 2000) to ~8 seconds (in 2016). An online audience is about 40% more likely to share and engage with video content (versus written content) and nearly 60% more likely to “like” a video. If these facts alone aren’t enough to convince you of the importance of having optimized videos for your firm and site, then the following may do the trick. Video marketing can create personal connections with your online audience. 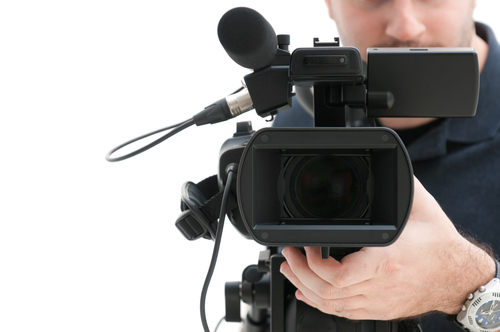 Humanizing your firm – Videos will show the people behind the business. This can be key to creating more personal connections with an online audience before they ever even speak to someone at your firm. Boosting your site’s SEO and rankings – Optimized videos are another piece of content for search engines to evaluate and rank. 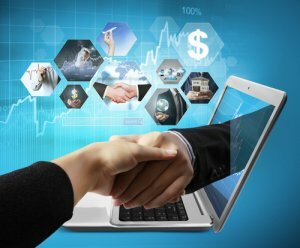 This can create another avenue by which potential clients can find you online and learn more about your services and offerings. Making your firm memorable – Videos can be far more effective than just plain text when it comes to evoking emotional responses and creating lasting impressions. This means that, with the right video(s), your firm can make a far more significant, memorable impression on visitors (making it more likely that’ll reach out to you whenever they need services like those you offer). Establishing your authority – The right videos in the right spaces can highlight your firm’s legal expertise while generating online authority for your site (and your firm). More authority can mean more credibility, which search engines reward and users typically favor. Our Epic videos can take your firm’s Internet marketing to the next level. The video production specialists and SEO experts at Epic Web Results work closely with each of our clients to develop videos that feature their unique voice, mission and offerings. We tailor our video services to meet the needs and goals of our clients, and we are effective at developing customized solutions that set our clients’ videos apart from – and above – the competition. We never rely on cookie-cutter templates. This means that you can count on us to develop and distribute videos that are as unique and exceptional as your firm and team are. Video keyword research – Research and planning is essential to developing videos that people are looking for and that they’ll want to watch. Epic Web Results’ team can pinpoint the right keywords to target in your videos so you’re creating video content that people are searching for – putting your firm directly in front of your target audience. Industry/competitor research – We go beyond just the preliminary research when developing optimized videos for attorneys and law firms. Our team will analyze the leading video-related search phrases for your practice (and your locality) to uncover what is (and is not) working for your top competitors. We will also dig into analytics data to evaluate what’s performing well on major video platforms (like YouTube). We’ll then use this research to create an effective plan of attack so your videos get traffic and great results right out of the gate. Video production – Our video production team uses only the latest tools, technology and best practices to produce high-quality, compelling videos. We’ll work with you to select the shooting location(s) and schedule so filming is seamless when it’s time to let the cameras roll. Video editing – Our video editors are skilled at refining, cutting and assembling footage to craft videos that will be as appealing as they are engaging. Creating optimized video transcripts – Written descriptions of and transcripts for online videos are essential to video optimization. Our experts are skilled at developing interesting, optimized, well-written descriptions and transcripts to complement and enhance the videos we create. Uploading videos – We publish and distribute videos on clients’ site, as well as on major social media networks and prominent video platforms. We make sure our clients’ videos are up in all of the right spaces so they get the views, shares and responses necessary to generate more traffic and new leads. Analyzing videos’ performance – We closely monitor the analytics data for our clients’ videos for performance tracking and improvement purposes. We track everything from watch time and audience retention rates to engagement and click-through rates. This empowers us to make the recommendations and adjustments necessary to get our clients the best possible results. When you are ready to see the best results from your website and Internet marketing investments, it’s time to contact Epic Web Results. We are up to date with the latest advances in Internet marketing and SEO best practices, and we are highly adept at developing custom attorney marketing solutions that can catapult you firm’s site to the top of search engines (and keep it there!). Our dynamic, experienced team is ready to discuss your video marketing needs and provide you with a custom, cost-effective plan that will get you Epic results. Just call (303) 515-7191 or email us (using the contact form on this page) to find out more about our cutting-edge Internet marketing solutions – and how they can be the key to driving more clients and business to your front door. We’re available to receive your calls and/or emails 24/7.